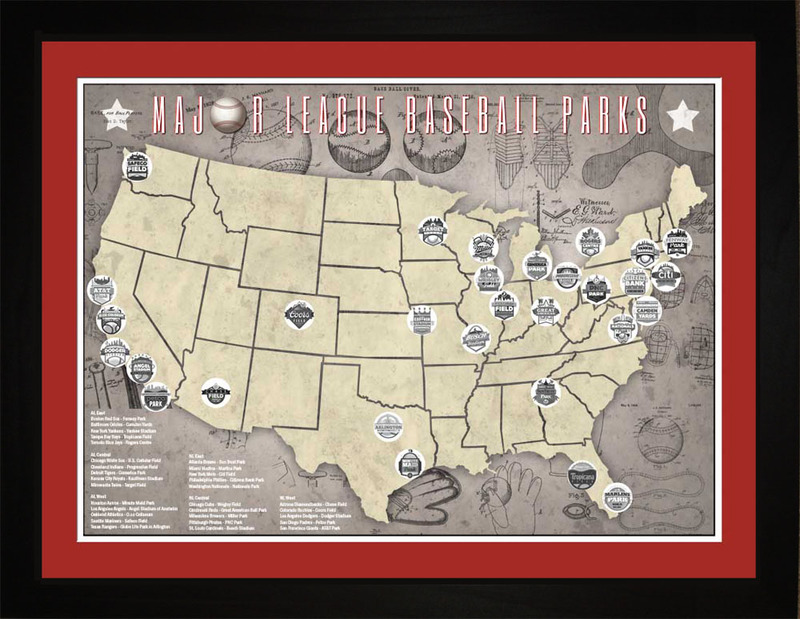 Track the MLB ballparks that you have visited! Gorgeous, full-color map showing all team stadium logos at their ballpark locations. Makes a great baseball gift - either framed or unframed! Includes the MLB's newest stadium...Atlanta Braves move to SunTrust Park! This is a "Tracking" Map which shows all of the logos on the print in black & white. Included are color logo stickers for each team. When you visit a ballpark, just peel-&-stick the color logo on the print to designate that you've been there. I am very happy with this purchase and can't wait to fill the gray and white stadiums with the colored stadium stickers. It looks great hanging on my wall!